Our ministry is based on the spiritual text, A Course in Miracles. 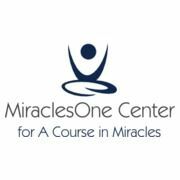 Our website - www.miraclesone.org We have two accounts here on Spreaker so be sure to check both out! iTune users - For some reason, iTunes only keeps 300 audios in the list. Your donation helps to support our all-volunteer ministry. Short messages to help you practice A Course in Miracles. Rev. Deb's show is a show about empowering you to live to your highest potential. It is about knowing deep down that you are entitled to love. Each week she shares her personal journey from deep listening to Holy Spirit to how to set boundaries to how to embrace Who you really are. The shows are accompanied by relevant music and ... See More songs speaking to the week's topic. The show was a part of the Unity Radio lineup from 2015-2017. Rev. Deb Phelps is the author of "I am Entitled to Miracles! Simple Ways to Apply the Principles in A Course in Miracles." She is also the Senior Minister of MiraclesOne, which is a center and ministry devoted to the practical application of the spiritual text, A Course in Miracles. "A Year with the Manual for Teachers and Supplements"
Join us as we study the Manual for Teachers and the two Supplements- "The Song of Prayer" and the "Psychotherapy: Purpose, Process and Practice" in A Course in Miracles. Many resources for ... See More you and for free! 10 minute excerpts from our weekly Sunday Message Livestreaming. A mini-miracle will go a long way! Make your donation to support our ministry!